Wherever it is you love hiking at, from mountains to forests or the weirdest and most difficult environments, making sure you have a proper GPS is always one of the first checklist items you should have. Suunto has always been a major brand when it comes to portable devices like this hiking GPS watch that offers everything you could need when going on an adventure. It does everything, really everything you need, from giving you barometric reads of pressure and altitude accurately to the best GPS map navigation alongside a “Tracks” option that saves in graphs every step you’ve taken in the last 24 hours. It also comes with a compass and the opportunity to pair it with a smartphone so you can get the best of it alongside a Suunto Movescount app that helps to take a look at important points of interests on your location. It offers a great watch as well, with interval timers, and a wonderful fitness tracker for calories, performance and more. 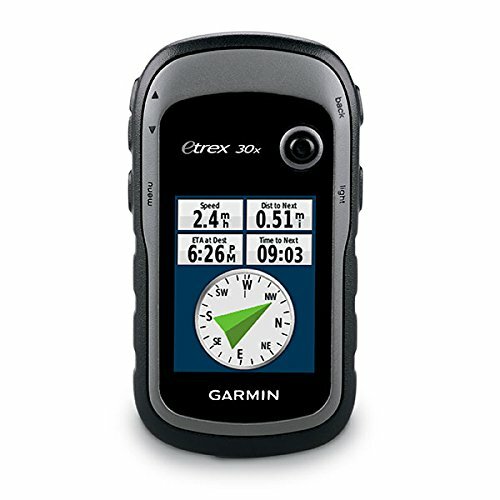 Among the cheapest Garmin GPS, we can find the eTrex 30X. With this device, Garmin decided to make a well-built handheld GPS that can be affordable for all buyers and still make a pretty awesome job when it comes to being an adventure companion. Thanks to a three-axis tilt compass and a barometric for both pressure and altitude, you can actually go wherever you want and do whatever you want without getting lost or losing your path. It operates on GLONASS satellites and offers a faster response to maps and locations than almost all other Garmin GPS for a price that’s incredibly below of others. It lasts up to 25 hours with two AA batteries fully charged and it can store up to 200 routes and more than 2000 waypoints thanks to a 6GB SDCARD slot. 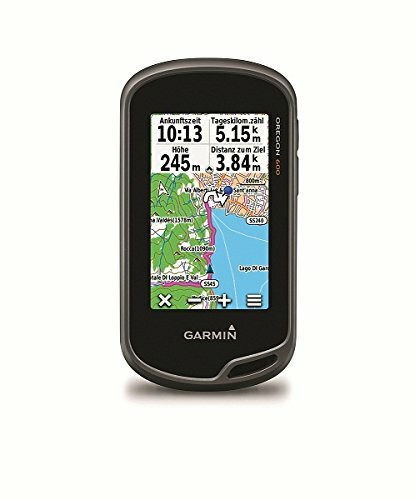 The Garmin 72H is one of the most reliable handheld GPS you can find on the market. It is actually designed to work perfectly for military purposes, but was then developed to be offered in the market for all types of users. It offers a big easy-to-use display and great visibility. Yet, the device doesn’t offer as many features as others. But it will still be a great companion, especially thanks to its IPX7 waterproof feature that allows it to be more than 30 minutes underwater without any problem. This means it will resist the most extreme conditions and still offer high-quality features like a continuing data about fishing and hunting dates, sunset and sunrise times, and the possibility to save more than 500 destinations. As one of the most connectivity-oriented GPS, this device will not let you down in any way. It offers many communication features like a two-way radio, a text messaging feature and the possibility to improve your communication with Bluetooth availability. It offers a very interactive display that lets you know everything from a standard animated GPS to a weather radar and forecasts, as well as a perfect notification setup that works alongside the Garmin Network so you can take a look at everything at any time without any problem. It can last up to 14 hours with a single pair of batteries and will let you use it underwater for 30 minutes. But the best feature is the possibility to report emergencies and a GLONASS GPS navigation feature that is just as accurate as any other GPS out there. 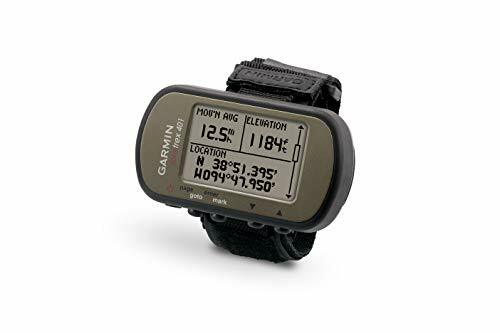 There’s no doubt about how the Montana series from Garmin has helped many adventurers get to their destinations without any problems. Yet, this series has only one winner, and that’s the Montana 600, even though there’s a newest version, this is the one that broke the quality roof with 24 GLONASS satellite positioning GPS plus a tough and very versatile construction that resists all types of environments. But what really makes this GPS one of the best of its kind is the big display. This makes it just perfect for those people who need both a comfortable sized GPS but still be able to watch everything without having to put the eyes in front of the display. And even though it costs a little more than half of other versions, it is still pretty decent, especially when it lasts up to 23 hours. Delorme is a less known GPS than others like Rand McNally or Garmin. But this doesn’t mean that the quality is less or that the products are not as good. Actually, this Delorme In-Reach Explorer is a wonderfully useful adventure-minded GPS that offers everything you may be expecting from a GPS like this, from a battery life of 100 hours to satellite messaging and even an SOS option so you can connect to the nearest rescue center if needed. The GPS option also allows users to create paths, routes, creating waypoints, and a really easy-to-use onscreen navigation map for better and more comfortable hiking. And if you, by chance, also bring your smartphone with you, the Delorme Explorer lets you download all types of maps from its software. It comes with a compass, barometric altimeter, and an accelerometer. The GPSMAP 64s is an astonishingly high-quality device for a wonderful price, with great features, and excellent software that is both easy-to-use and free of any bugs or errors. 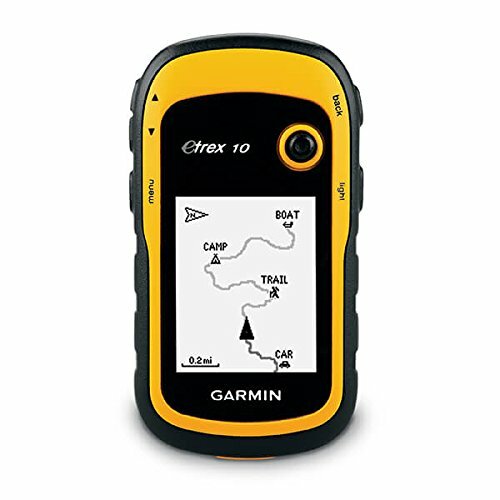 Also, this device offers more reliability within the map navigation alongside a digital compass and many more features that work better than the previous version of this model. It comes with GLONASS GPS satellite navigation with more accuracy. You will also be getting a barometric altimeter with it, alongside the opportunity to pair it with your smartphone and increase the overall capabilities. And it is totally portable, with a comfortable size and weight for any hand. Perfectly sized to be comfortable and easy to use, the Oregon 600 is totally reliable and offers many useful features as well. It brings a bright and big screen, a totally user-friendly interface and the opportunity to choose among a list of different activities from hiking to paddling, kayaking and even running. This version of the Oregon model is really improved from previous ones, looking better, with more features and incredibly more reliable. It is also cheaper than other GPS of the same type and comes with a touchscreen that offers superb quality and ease of use. Yet, if you want a better option, the Oregon 650t brings an 8-megapixel camera to take incredible photos of your environments. 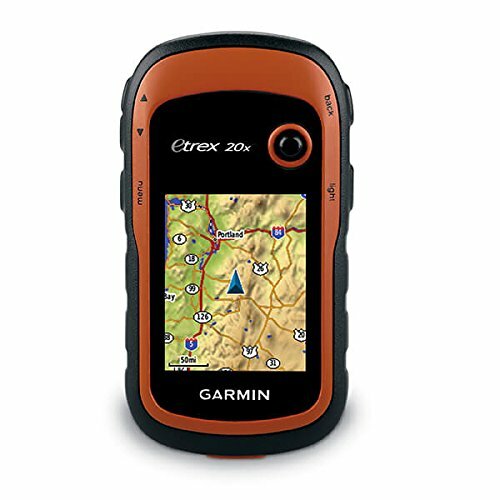 The eTrex Touch 35T may be the only handheld GPS that offers more than just hiking… Actually, with a multi-activity interface with climbing, hunting, geocaching, biking, fishing and much more – this device offers an incredibly easy navigation and a very accurate GPS with GLONASS and more than 100,000 maps. It comes with an electronic compass as well, a barometric altimeter and a very comfortable 2.6-inch touchscreen that offers a very easy-to-use interface display. It will also help you know if any weather change comes your way, and will tell you the temperature in different zones within its maps. And when it comes to battery life, it can last up to 16 hours without any charging or additional batteries. The Garmin Oregon 650t is an incredible step up from Garmin handheld GPS devices. It is bigger, faster, more comfortable, easier to use, more compatible, more reliable, last longer and it is incredibly accurate. 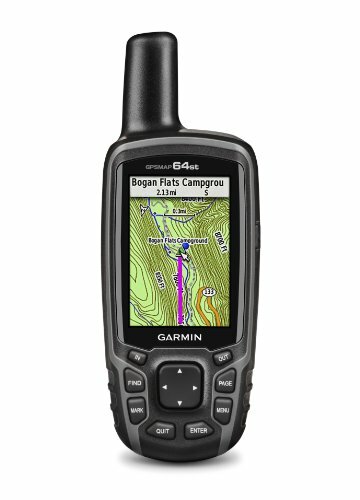 With the 650t from Garmin, you are choosing a wonderful option that is maybe in the top of the bunch. The screen allows users to see at any time of the day and in any condition. It comes with a 3.7 GB memory and a possibility to extend to 16GB with a microSD. Comes with an 8-megapixel camera and offers Bluetooth to pair with other devices and share maps and more. If you are looking for both comfortability and high-quality features, this is the device for you. Hand held outdoor GPS and a hiking map of a mountain range. Buying a hiking GPS is not something easy in any way. You must know a lot of things if you want to choose a proper device. That’s why we’ve made a list with everything you need to know before choosing the right GPS for you… Take a look! If you are buying a GPS, you will want comfortability and ease of use. And this is only achievable when you know what you like better, as only the user can tell if a touchscreen is better than buttons or vice-versa. However, there are also some advantages of using buttoned models than touchscreen ones, as, for example, GPS with buttons tends to have a more lasting battery, but touchscreen devices tend to be a lot faster and easier to use. At the end, it all comes down to what the user prefers. Any adventure GPS should be resistant enough to battle all types of environments from cold to incredibly hot and water. Therefore, it is important to always choose a well-constructed GPS that allows users to do any type of activity and still work as normally. But this can only happen when the device is made with high-quality materials that offer resistance to all weathers and shocks. A GPS should last at least 10 hours. Yet, there are versions that can last up to 100 hours while others only offer from 10 to 25 depending on the use and the number of features used. However, using more lasting batteries can also help depending on the condition of the device, but mostly, it all comes down to how much energy the GPS uses when only using the maps. The display of a GPS is also very important. Normally, the bigger the better – unless you are looking for portability and comfortability. In this case, the best choice would be a 2-inch display, as it is the tiniest but still visually capable GPS option there is. At the end it all depends on what the user prefers and needs. The software of a GPS is always incredibly important. Some allow users to create paths, make waypoints, look for altitude, pressure, scan zones in search of terrain relief and many other great features. Yet, a GPS only needs to show the path and the options, but some of them offer colorful maps for a better navigation and more accurate presentation of the environment. Altimeter, Barometer, and Compass are the ABCs of all handheld GPS. The best devices will come with all three together, so you can measure pressure, altitude and be sure where you are standing without losing your path. But the best features are those which allow users to use text messaging, do two-way voice communication or even call for emergency numbers if needed. Others devices come with cameras and even tracking abilities like calories burned and more. The best and most important feature of a GPS is the navigation option. It should be easy-to-use and understandable. Communication options like messaging and radio tend to come only in the most expensive models. Cameras and Bluetooth options are not in any way important. They only offer more features. So, as you see, choosing a perfect hiking GPS for you will not be an easy task. But we are totally sure that taking all of these reviews into account will for sure help you do it without any problem. Just remember that it all comes down to choosing the device that better suits your desires and most importantly, you needs. Do not lose when in an adventure anymore. Choose one of these devices and get the best help you need while hiking! Buying handheld GPS devices? This guide will help you learn everything you need to know before choosing the right option for you. Take a look!